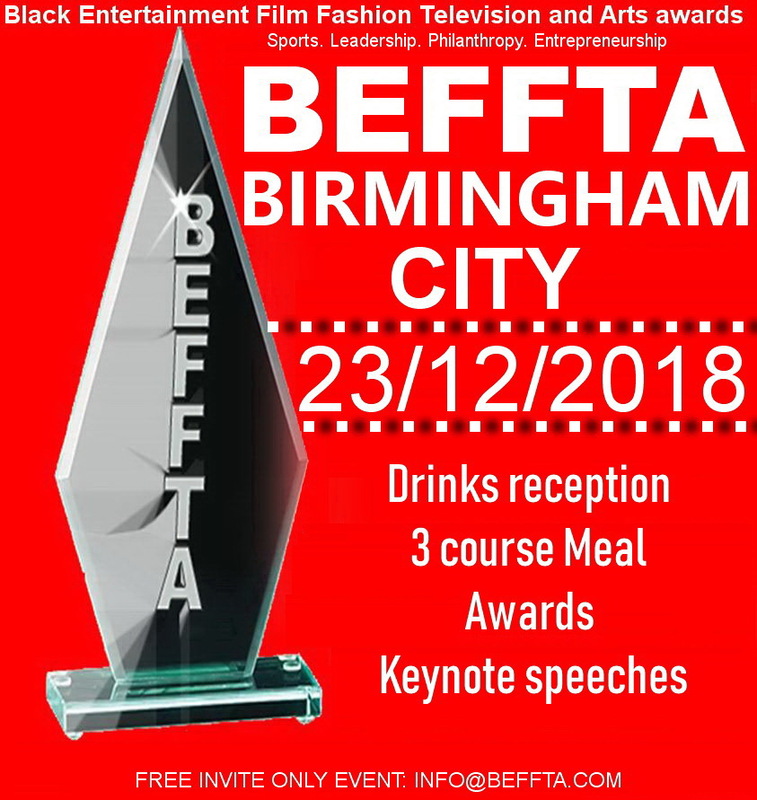 BEFFTA finally takes the awards to different cities in the UK as Birmingham becomes the first host BEFFTA outside London. There is a huge excitement among industry personalities in entertainment, film, fashion, television, arts and sports who are pleased to see the prestigious award body hold it’s first awards gala in a top Birmingham city hotel today. The award ceremony which is fully funded by philanthropist Dr Pauline Long is celebrating the 10th BEFFTA awards event in 10 cities. The celebration dubbed as #Beffta10years10Cities will see cities such as Glasgow, Cardiff, Manchester and Bristol host BEFFTA. BEFFTA USA took place in Atlanta a few years ago which saw many personalities being honoured. The award ceremony is also tipped to launch in Canada, Toronto soon. Other cities launching BEFFTA will be announced shortly. BEFFTA awards is the biggest and most prestigious award ceremony that celebrates the achievements of personalities globally in Africa, Caribbean and Asian personalities in UK, Africa, Asia, Australia, Europe, Canada, Caribbean and USA in entertainment, film, fashion, television, arts, philanthropy, sports, leadership and entrepreneurship. BEFFTA prides itself in honouring under one roof both high profile personalities and hardworking grassroots personalities who are often overlooked. This year London hosted BEFFTA Legends Awards and BEFFTA People’s Choice Awards. As BEFFTA is a huge supporter of charities, this year the awards supported HIV/AIDS and Leukeamia causes. The awards supported and highlighted great work done by two incredible charities Terrence Higgins Trust and Kevin Kararwa Leukaemia Trust with a £1000 donation. This entry was posted by BEFFTA Editor on December 23, 2018 at 8:48 am, and is filled under NEWS FLASH. Follow any responses to this post through RSS 2.0. Responses are currently closed, but you can trackback from your own site.